As someone who writes about restaurants, most of the time my friends let me pick where to dine. But every now and again it’s only polite to let someone else take the reins. 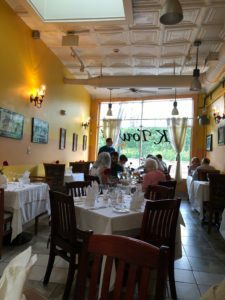 Even so, I’m taken aback when a friend rejects my restaurant suggestion and makes a reservation for our party of six at K Town Bistro in Kensington. I’m unfamiliar with the restaurant, and I must admit, I’m wary. Ok, I’m practically hyperventilating. I make a beeline for Google. 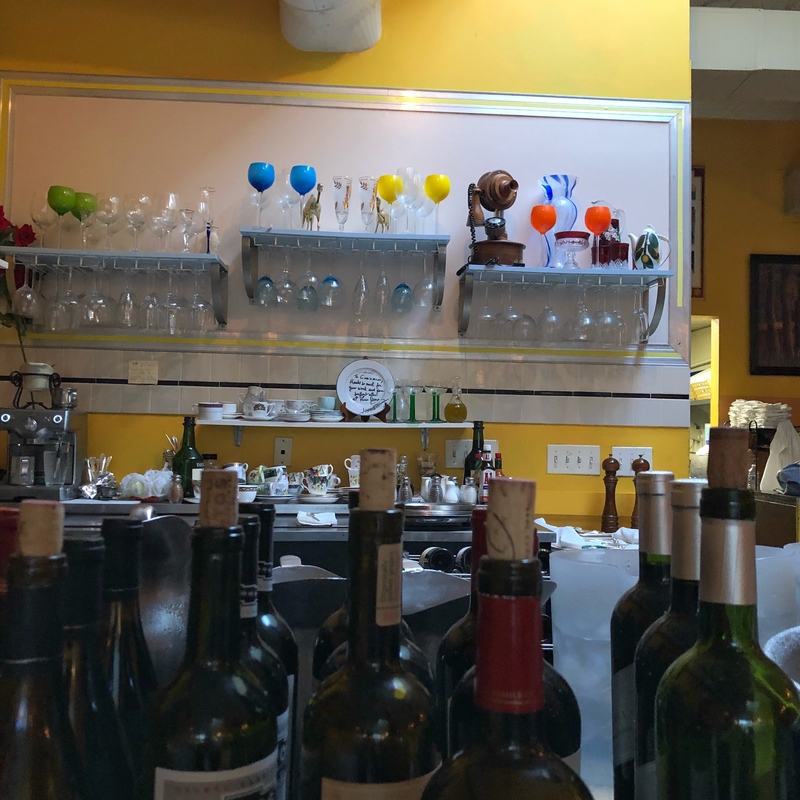 I learn that Gonzalo Barba opened K Town Bistro in 2010, after spending more than 40 years working in the industry, including over 20 years at the restaurant in the Watergate Hotel. The menu at K Town Bistro features standard European fare. Escargots, oysters, and French onion soup are among the starters. Entrees include blackened salmon, seared scallops, chicken marsala, and beef stroganoff. Ho hum, I think. And then I take a deep breath and remind myself that not every restaurant meal has to be a mind-blowing adventure. Sometimes dinner out is more about enjoying the company of good friends while simultaneously eating food. Note to future dining companions: feel free to quote me on this. My husband and I arrive early, and a stroll down Howard Avenue reminds me how much I enjoy the town of Kensington. It’s a great place to spend a couple of hours, browsing for antiques and collectibles. Note to self: schedule some time to actually do this. As we walk into the restaurant, I’m soothed by the interior. The walls are painted a deep golden yellow. White tablecloths dress it up. I nod approvingly at the sight of a colorful display of vintage wine glasses and tea cups and other assorted items likely plucked from neighborhood shops. 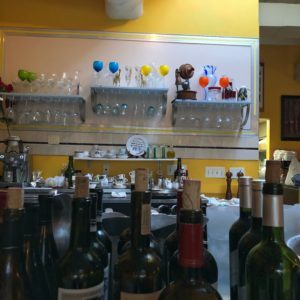 The décor is just what you expect from a neighborhood bistro in a small town, which essentially defines K Town Bistro, despite its proximity to DC. My ho hum turns into a hopeful hmmm. I’m enticed by specials of gazpacho and duck a l’orange. The chilled gazpacho is smooth and refreshing. I would prefer a heavier hand with spices, but the fresh vegetables proffer enough flavor to make for a satisfying soup. Duck a l’orange takes me away from the conversation long enough to notice the food. The slices of meat are fabulously tender, and the sauce is equal parts tart and sweet. Tortellini in a light cream sauce is punctuated with a few broccoli florets. It’s a subtle side, but I ladle a spoonful of the flavorful sauce over the pasta for some oomph. My hmmm has evolved into a yum. 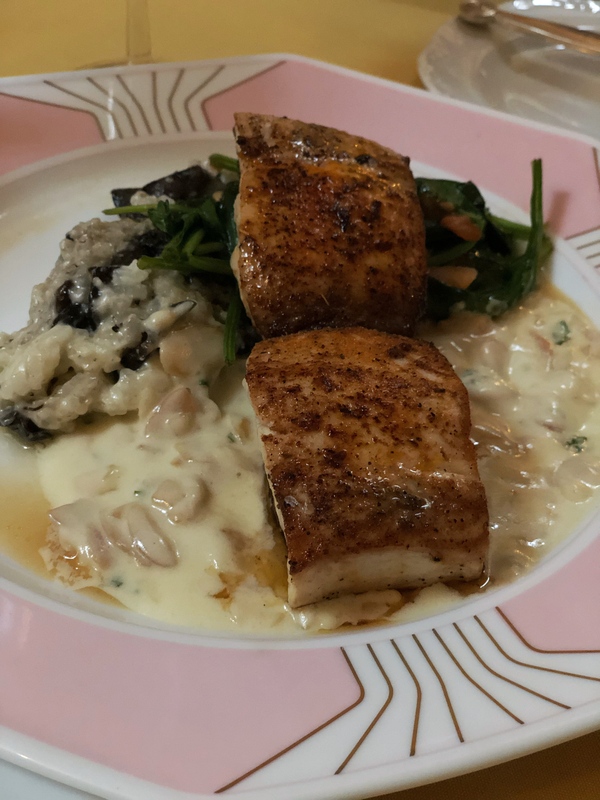 A generous portion of pan-seared salmon served with mushroom risotto and kale is more home-cooked meal than it is dinner out, but it’s well-prepared. 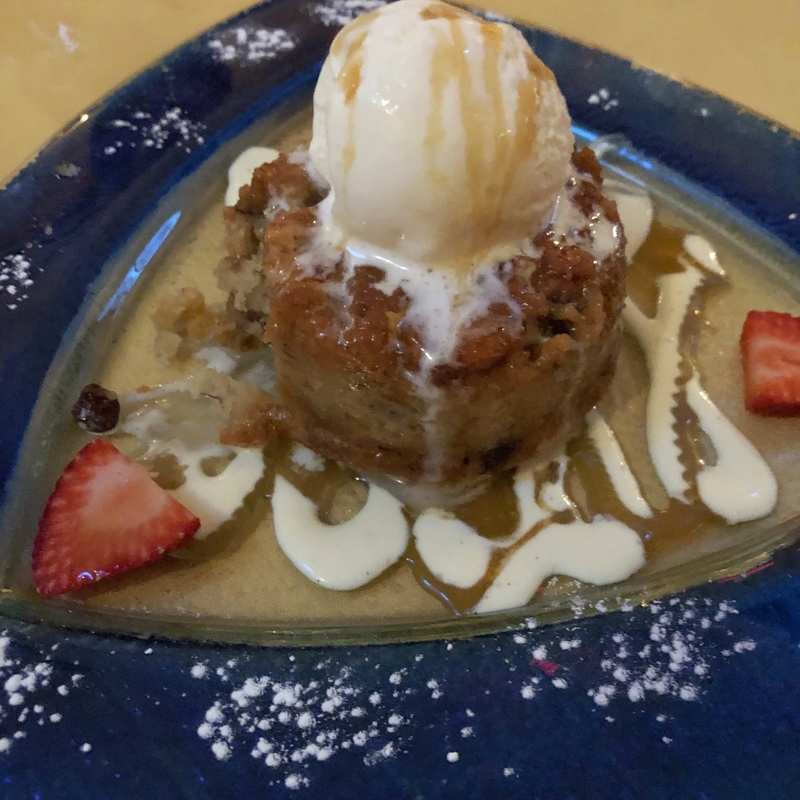 We order a trio of delightful desserts: crème brulee, chocolate mousse, and banana bread pudding. They do their part in successfully rounding out our meal- and probably my waistline- but whatever. 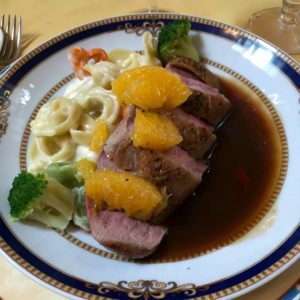 Entrees at K Town Bistro are primarily in the mid-$20’s – the duck is $25 and the salmon $24. A special menu is offered from 5:00 – 6:00 pm nightly, with a prix fixe two-course meal available for $24.99. DC is abuzz with knock-your-socks-off restaurants that draw crowds of food obsessives. I count myself among those chasing the latest and greatest dining experiences. K Town Bistro is an anti-buzz restaurant. It’s quiet and lovely and can make you feel like you’ve ventured out of town, even if it has only taken you 20 minutes to get here. While my friend catches me off guard by suggesting a venture into the unknown, I’m pleasantly surprised by the results. Note to readers: take some time to explore the charming town of Kensington, and while you are at it, stop by K Town Bistro.